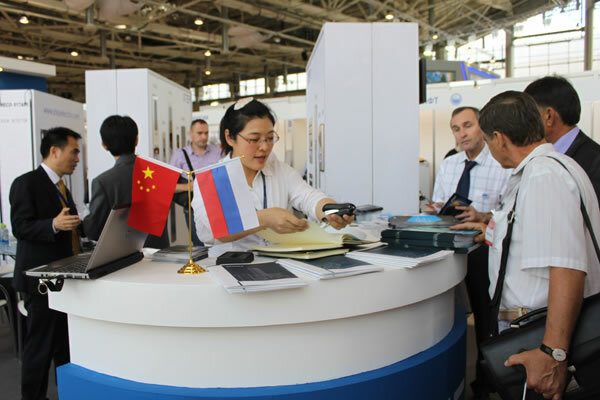 In order to improve the brand image in the international market and enter the market in the Commonwealth of the Independent States and Europe, we designated Yixin Company, our branch company, to participate in the Lift Expo Russia held in All-Russian Exhibition Centre in Moscow from June 6 to June 8, 2013. 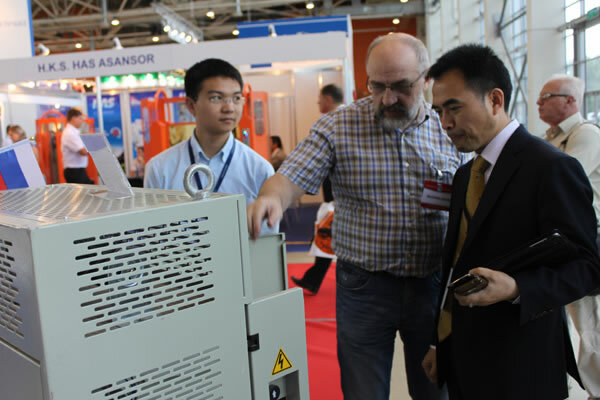 The main product we displayed in the exhibition included standard AS320 control cabinet, AS380 integrated elevator control cabinet, AS320 and AS620 frequency converter with different power stages, elevator door inverter, energy regenerator, elevator group control system (push button type and touch screen type calling board, LCD floor indicator, car wall COP, group control panel, computer monitoring software program), LCD, COP & LOP, elevator car button, elevator cable, light curtain, and some others. Our booth covered an area of 54 square meters. 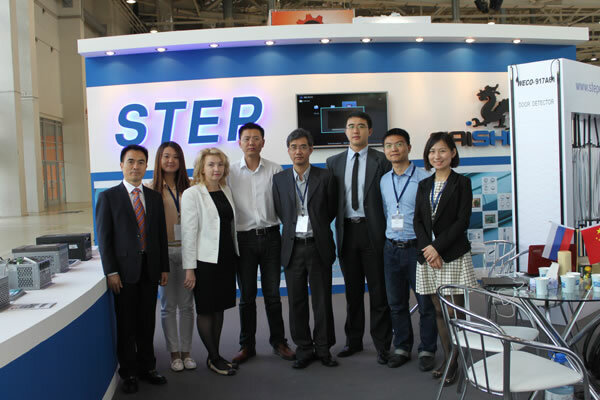 With the great support from our agent---Caishen Company, we achieved a huge success in the exhibition. Totally, we received 160 batches of clients. 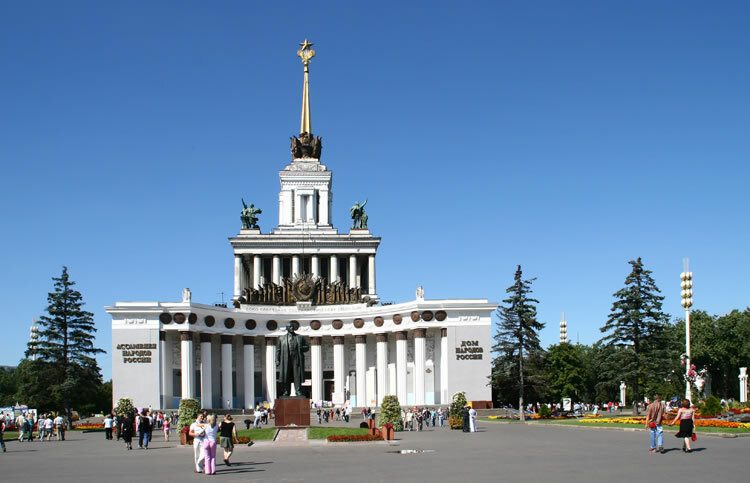 Most of the customers were from the Commonwealth of the Independent States, such as Russia, Ukraine, Kazakhstan, Uzbekistan, Tadzhikistan, The Republic of Belarus, Georgia, and Azerbaijan. Some were from the countries in Europe, for example, Greece, Germany, and Italy. 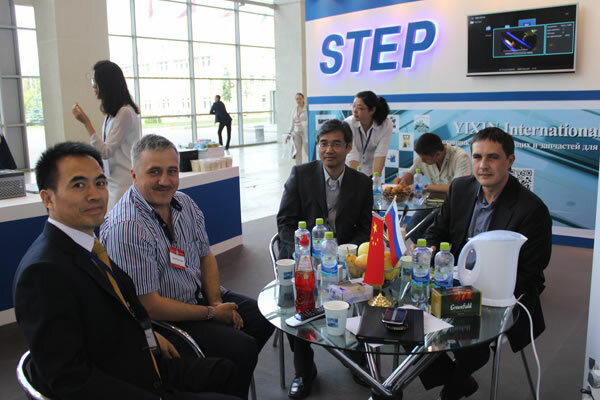 Apart from that, we also got the chance to communicate with the customers from the Middle East and America. 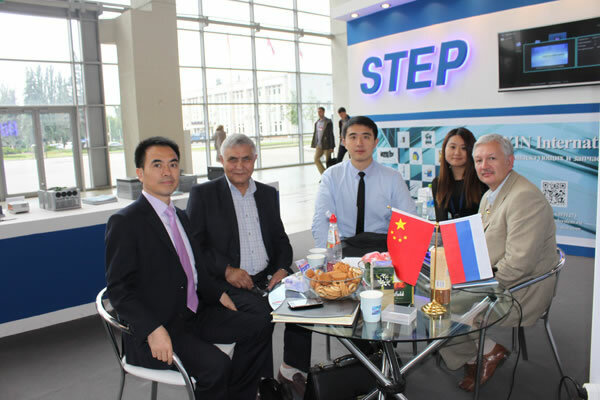 During exhibition, the chairman of the Russia Elevator Association, Vladimir KOTELNIKOV, granted an interview to our staff. 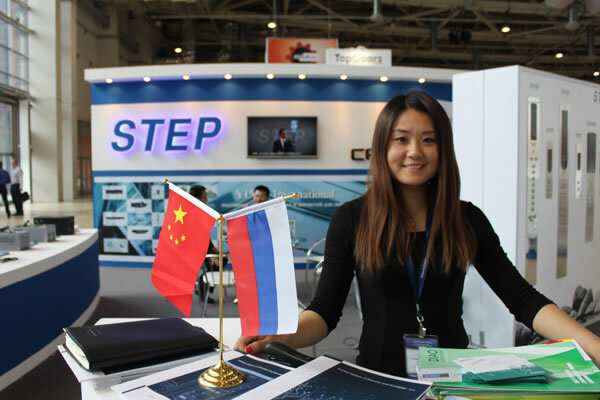 He was quite satisfied with our product and placed great hopes on the development of STEP in the Russian market. 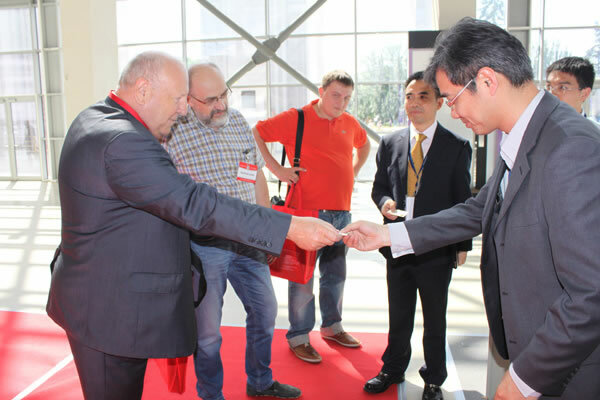 In addition, Mr. Zhang, the secretary general of China Elevator Association, paid a visit to our booth and communicated with our leadership. 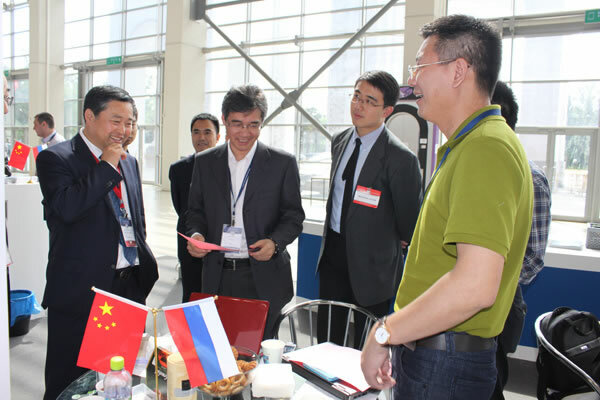 He expressed his approval on the product of our company and wished we could further develop the international market with our self-developed technology. 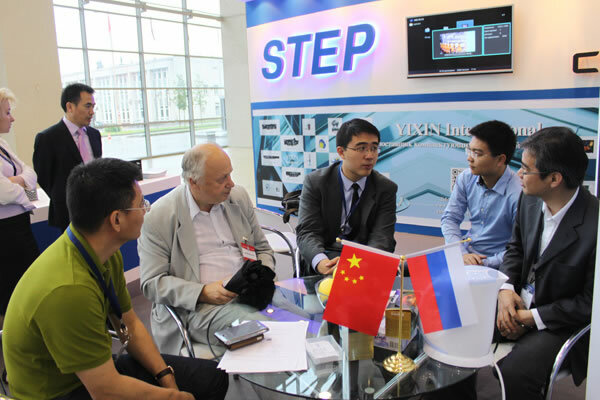 Liang Cai, vice president of STEP and executive director of Yixin Company, talked to the global vice president of WITTUR on the cooperation in future.